The Veterans Memorial is now complete! We hosted a dedication ceremony on April 8th, 2017. The memorial bricks will be a continuous project; so you can still take part in the Veterans Memorial. 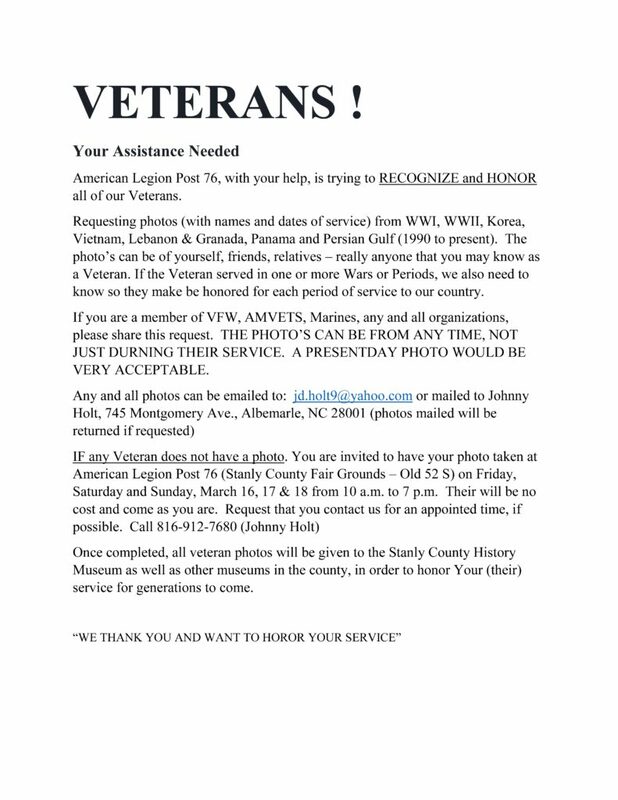 How can you remember your Veteran? Your soldier is a part of history; honor them by placing a brick in the Veteran’s Memorial in Locust Town Center. You can download the order form here. For information about more opportunities for contribution, including special recognition items, please download this form. The Veteran’s Memorial in Locust Town Center is dedicated to the five branches of our military. Our Memorial honors and remembers Veterans, Retirees, Active Duty and Reserves from across our nation. The Memorial is located to the left of the Locust Government Building and features benches and flag poles for each branch of our military. Friends and family may honor a loved one who has given so much for our freedom and our country by purchasing a memorial brick paver that will forever rest in the Locust Town Center Veterans’ Memorial.